Motorola is well-known for marching to the beat of its own drum. Rather than following the trends, the American telecom company generally has its own timeline and style, particularly with smartphones. But because the mobile phone industry is extremely dynamic, Motorola has decided to get caught up with the latest craze to attract more buyers. This is evident in the unexpected introduction of the Motorola One Power. Based on several reports, the Motorola One Power is going to be an Android One device. On one of the leaked images that surfaced a few weeks ago, the Android One logo is clearly visible. With the sudden emergence of pictures of the new Motorola phone, stores that sell cell-phone units are now inundated with questions about it. 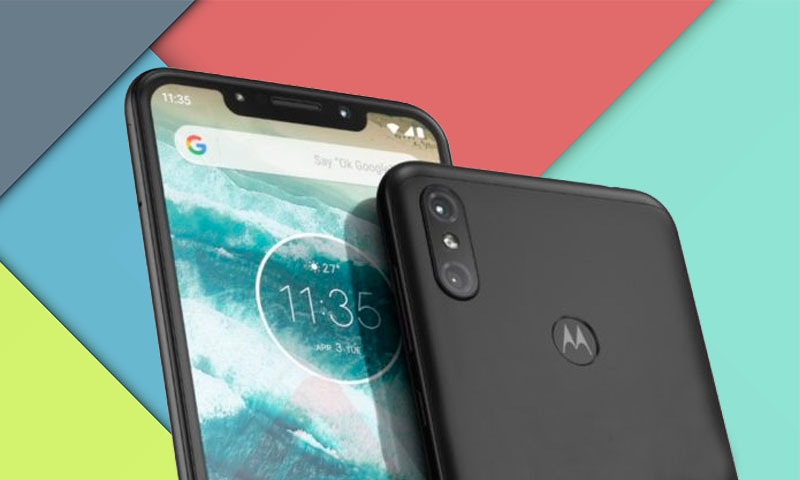 Although the world of tech hasn’t heard a lot about the Motorola One Power, experts believe that the company is almost finished developing their new smartphone. And with the leaked photos online, the tech industry is pretty much just waiting for the Lenovo-owned company to confirm the news. SlashLeaks posted a picture of a device that is said to be the Motorola One Power. The image shows a notch on the screen. Although the screen of the smartphone is turned on, the only visible identifications are the Lenovo and Motorola (not just ‘Moto’) logos. Some noticeable features include the power and volume buttons on the right edge of the phone. Leaked reports also state that the Motorola One Power is loaded with a Snapdragon 636 processor. It would have 4GB RAM and 64GB memory storage. The phone is assumed to be 6.2 inches. Its display would be full HD+ with 2280 x 1080-pixel density. This particular Motorola smartphone is also said to have a 3780 mAh battery that is designed for turbocharging. The One Power could also support a variety of charging speeds in accordance with the 3C qualification portal. These include the 5V/3A, 9V/2A, and 12V/1.5A speeds for charging. It seems that Motorola is getting into the notch arena as well. And like most smartphones these days, a notch generally houses a front selfie-cam, an earpiece, and other sensors. There’s no indication that the One Power’s notch would provide anything different. When it comes to camera features, the Motorola One Power is expected to feature a 12MP+5MP dual camera system on the back. Its aperture is said to be f/1.8 and f/2.0. The smartphone would also have an 8MP front selfie-camera. It also looks like the phone has smaller bezels. The leaked photos showed a phone with a forehead and a chin in which the Motorola logo is embossed. Interestingly, this is seen as a step for Lenovo to finalize the branding of the Motorola units. Rather than the usual Moto logos, the new devices will be identified formally as Motorola phones. As of writing, Motorola hasn’t made any official announcement about the price and availability of the Motorola One Power. That said, their new smartphone is a likely a mid-range phone that will probably have a summer launch. Will Apple Truly Remove the iPhone X’s Lightning Port? When Apple introduced the iPhone 7 a couple of years ago, the tech giant stunned the world by ditching the headphone jack. The smartphone industry has still not fully recovered from it. There are many iPhone users who opted not to upgrade from their iPhone 6s because of it. Now, a new Bloomberg report states that Apple considered doing away with the lightning connector. Apparently, it’s all part of Apple’s plan for a wireless future. Is the World Ready for Wireless Charging? Bloomberg reported that Apple designers plan to get rid of most of the external ports and buttons on their smartphones. That grand scheme includes getting rid of the iPhone’s charger. 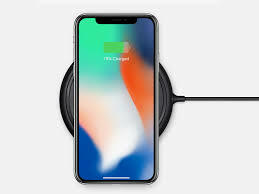 In fact, during the development process of the iPhone X, the designers considered removing the entire charging system. At that time, the plan wasn’t possible due to the weak structure of wireless charging. Also, adding a wireless charger to the iPhone X would significantly increase the cost of a phone that is already expensive. Apple’s intention to ditch the lighting port is in line with Jony Ive’s plans in making the iPhone look like a thin sheet of glass. That said, the Bloomberg report didn’t specify how critical of a thought or a consideration it was. Getting Rid of a Lightning Port: A Controversial Decision? Apple is well on its way to carrying out their plans for a wireless future with products and tech like AirPods and AirPower in addition to W1 and W2 wireless chips. Stores that sell iPhone units can corroborate that the removal of the headphone jack from the iPhone 7 was a big controversy. But that doesn’t compare with the argument Apple will face if they remove the lightning connector. Ditching the connector would trigger a significant change since the lightning port has several uses. It’s used for cable charging, data transfer and audio syncing. Getting rid of the connector will likewise prevent an iPhone to directly connect to different peripherals like adapters, docks, power banks and cables. But if the removal of the lightning connector will push through in the near future, it’s likely that several wireless alternatives will be offered. Most of these replacements will come directly from Apple too. For instance, you can sync your iPhone with iTunes via a WiFi connection. For game controllers, you’ll have options that are Bluetooth-enabled. Wireless charges that are upright can also double as a docking station. Obviously, there would be a friction when this transition takes place. Think about the changeover that happened in 2012 when Apple ditched their 30-pin dock connector in favor of lightning port. It’s the same thing with the removal of the headphone jack on the iPhone 7. In both instances, the controversy eventually dwindled as most iPhone users came to accept and adapt to the new changes. With Apple in rigid pursuit of a wireless future, it’s safe to say that the removal of the lightning port in the near future is almost a done deal. But at this time, the connector would live on for at least a couple more years: a much-needed time for iPhone users to get used to the idea of a cable-less future. Author Claudia M.Posted on August 21, 2018 August 21, 2018 Categories Product ReviewsLeave a comment on Will Apple Truly Remove the iPhone X’s Lightning Port? Over the years, Windows tablets have been steadily edging to the high ranks on the list of the best tablets from stores that sell tablet models. That is quite impressive considering they only represent less than a quarter of the entire tablet market. On the other hand, that is also unsurprising since each year, non-Apple brands release their own versions of 2-in-1 tablets. Many of them are somewhat identical with one another, others provide noteworthy specs and features. Most of these tablets are sold with a keyboard and a pen. And all of them run some version of the Windows OS. So which Windows tablet is the best? The Microsoft Surface Pro is arguably the best Windows tablet available right now. If you want a new tablet but are unsure what to get, you can never go wrong with the Surface Pro. This is a 2-in-1 hybrid Windows tablet that provides all the things you need from a tablet and more. If needed, you can even turn it into a nifty laptop. The Surface Pro is a premium tablet in both design and performance. It has a top-quality magnesium body. Its eye-catching display is 12.1 inches. And unlike other tablets, its speakers sound exceptional. This Microsoft tablet can go head-to-head with the latest versions of Apple and Samsung tablets. The only downside (for some) is its price. The Surface Pro can be quite expensive, particularly when you add the costs of the Type Cover and the Surface Pen, which are sold separately. But if you have the money to invest, this is a Windows tablet you won’t regret buying. If you want a Windows tablet that you can use primarily for business purposes, buy the Lenovo MIIX 520. This tablet is hailed by many tech reviewers as one of the most efficiently-made laptops available. If you can’t afford (or don’t want) the Microsoft Surface Pro, the MIIX 520 is a great alternative. Design-wise, this Lenovo tablet isn’t as fancy as the Surface Pro. That said, it still looks sleek with its full metal body. It also has a kickstand and the variety of ports you need in a business device. Performance wise, it packs a punch. The MIIX 520 both has the 8th generation Intel Core i5 and Core i7 chips. The laptop is also available in different RAM and memory storage varieties: 4GB, 8GB and 16GB. Its SSD is upgradable to 1TB. In terms of display, the MIIX 520 has a full HD screen (1920 x 1200). 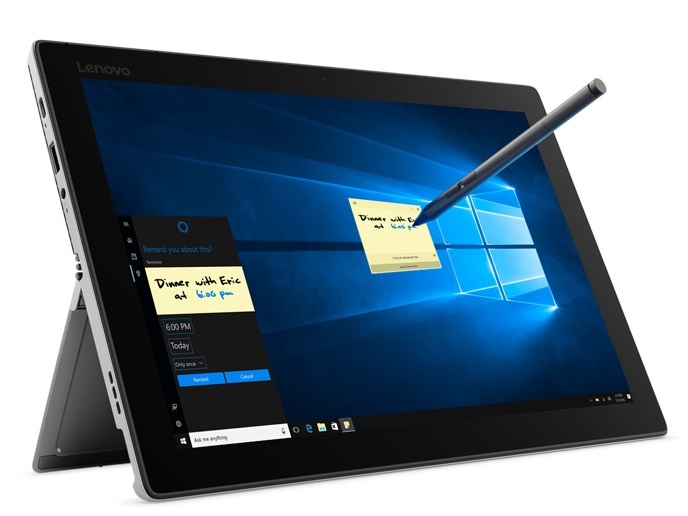 When you buy this Lenovo tablet, you’ll also get an Active Pen 2 stylus for free. If you have a tight budget but still hope to own a more than decent Windows tablet, go for the Acer Switch 3. This budget-friendly tablet comes with a built-in kickstand, a stylus (optional) and a keyboard. It has 4GB of RAM and 64GB of internal storage. It is a relatively cheap device, but you can still get a lot from its internal hardware. The Acer Switch 3 has an Intel Pentium N4200 quad-core processor. Obviously, it’s not as powerful as tablets that run on Core i5, but for students and entrepreneurs, the performance of the Switch 3 is good enough. This is particularly true if you need a tablet mainly for web browsing or office/school work. So, you finally have a new phone. The next thing you need to do is offload your old one. There are many ways to do so. You can always keep it as a spare phone in case you may need it in the future. You can also give it to a family member or a friend. You can even get cash or credits out of it. Don’t worry if your old device has scratches or chips. You’d be surprised how many companies buy old phones that are still usable, not to mention how much you can get from your cracked phone. Even stores that sell cell-phone units often buy old smartphones. You just need to figure out if you want to get cash, credits, or a trade-in value for it. Contact the old phone’s direct manufacturer. All big tech companies have their own recycling programs. You can take advantage of that regardless of your phone’s operating system. Visit a branch of your old phone’s manufacturer and ask about their recycling program. With Apple, they let you bring your old iPhone to any of their Apple Store. Alternatively, you can drop your phone in the mail. If your iPhone is relatively new, you may even receive a gift card you can use when you make a different Apple purchase. Samsung, on the other hand, has a Mobile Take-Back Program. You need to send your old Samsung smartphone using a prepaid envelope and mail it back to the company. They will do the recycling for you to minimize the effect on the environment. Like Apple, you may also get some sort of freebie or gift card if you’re recycling a newer model of a Samsung phone. The same process is available for LG and HTC users. These companies have a specific page on their respective sites that can inform you on how to recycle your old phone. HTC accepts old devices from other brands. Go to your local retail stores. If you don’t want to send your old phone back to its manufacturer, visit your local retail stores like Best Buy and Staples. Keep in mind that these retail stores, particularly Best Buy, won’t necessarily give you cash or credits when you hand them your old phone. But they would certainly dispose of your device properly and ethically. In fact, you can bring any old or broken gadget to Best Buy and they’ll handle the recycling for you. Staples is another retail store that has an extensive recycling program for gadgets. If your old phone still works and is quite a new model, you can get some Staples credits back. You can use the credits to spend on something else from the store. Another great alternative is to check with your phone carrier. The leading telecom providers in the US have their own recycling programs as well. Some of them offer a trade-in value that you can use when you buy a new gadget. There are many ways you can dispose of your old phone properly. Get rid of through whatever means most suitable to your situation, but never dump it straight into the trash can.